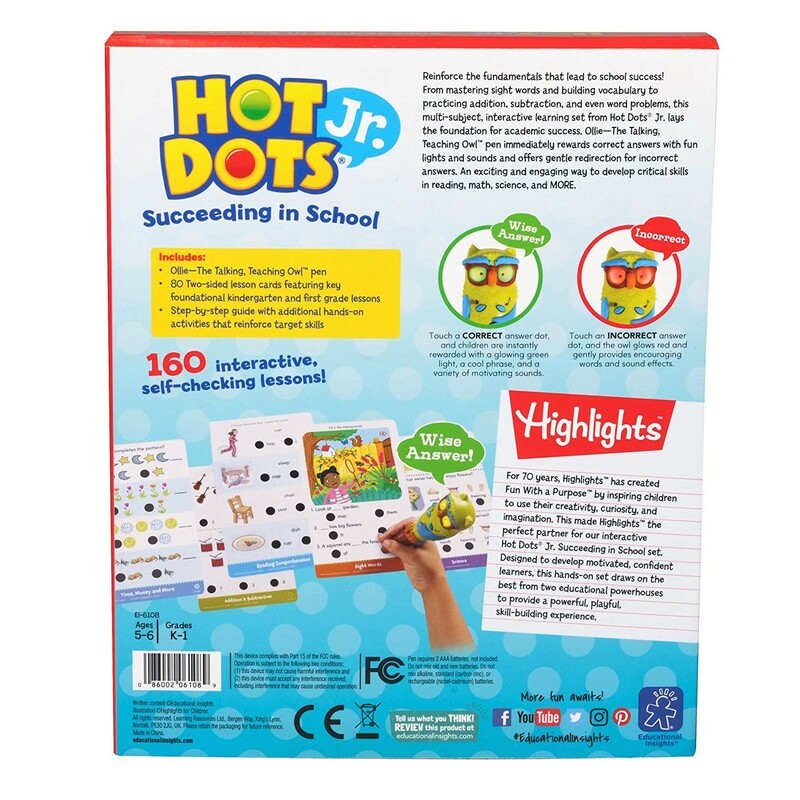 With the help of the Hot Dots Jr. owl shaped pen your child will get ready to kindergarten and 1st grade doing interactive activities in different subjects. 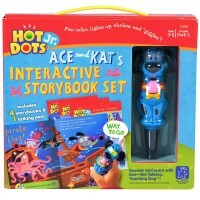 Now the Hot Dots series combines 'Fun with a Purpose' by Highlights with interactive learning by Educational Insights! 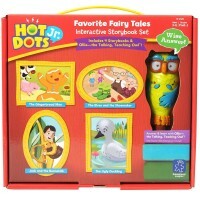 The new Hot Dots Jr. set is designed for children 5-6 years. 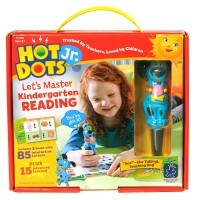 Master the skills required for kindergarten and 1st grade with the fun activities from the Hot Dots Jr. 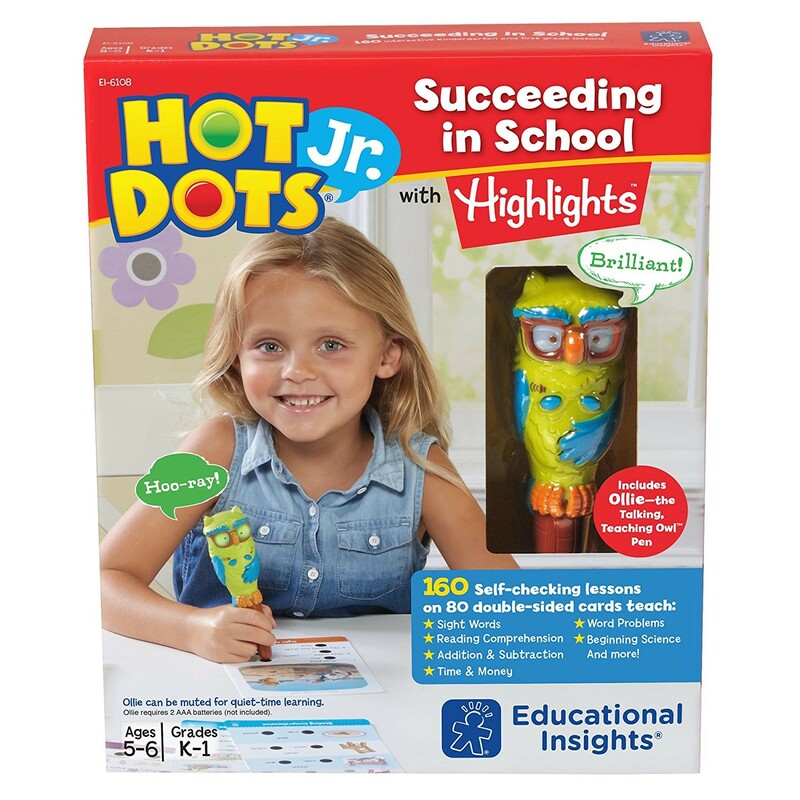 Succeeding in School with Highlights 160 Interactive Lessons & Owl Pen Set. 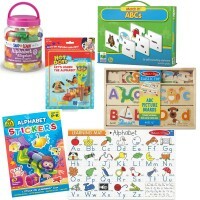 The K-readiness kit features features a set of 80 multi-subject activity cards and adorable owl-shaped talking pen. 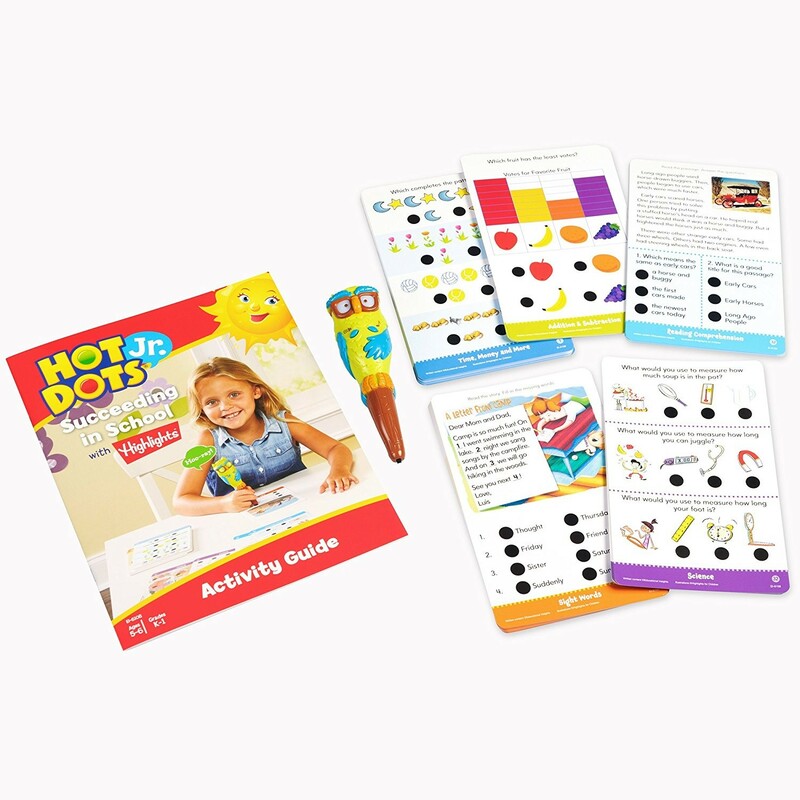 Each oversized, double-sided Hot Dots card features 2 self-correcting lessons in different topics: addition and subtraction, weather, reading comprehension, sight words, time, money, simple word problems, beginning science, logical thinking and more. 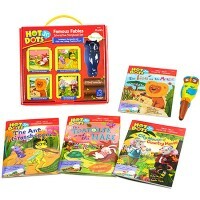 The cards feature beautiful Highlights kids-friendly illustrations. 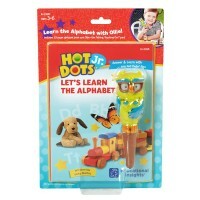 The electronic pen from this Educational Toys Planet's kit is shaped as a cute owl Ollie and offers 17 speech and sound effects. 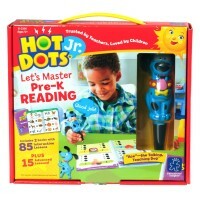 Read the question on every page, find the matching answer, press the talking pen to your answer dot to check the immediate audiovisual response! 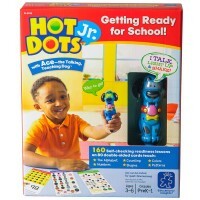 This Hot Dots Jr. set is a terrific teaching toy that helps kids with their school readiness skills. 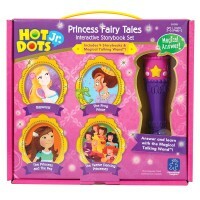 The teaching pen requires 2 AAA batteries (not included). 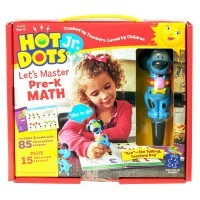 Dimensions of package 9" x 10.9" x 2.1"
Write your own review of Hot Dots Jr. Succeeding in School with Hightlights 160 Interactive Lessons & Owl Pen Set.